What a beautiful getaway! 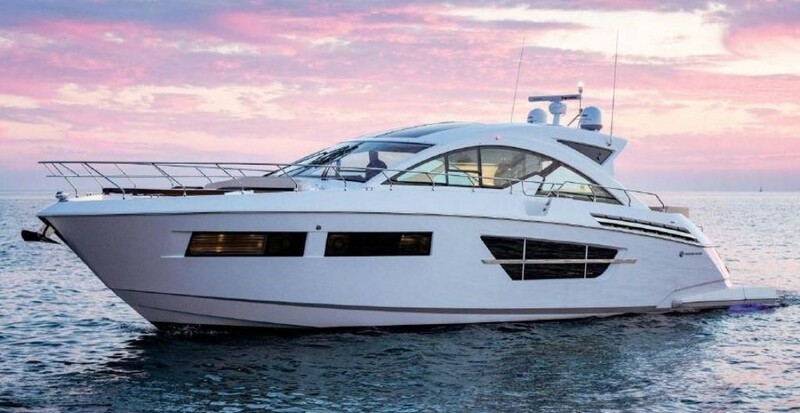 Professionally maintained by Seattle's venerable Delta Marine, this Cruisers 560 performance yacht features all of the gear that makes her easy and fun to operate! Bow and stern thrusters, oil change system, Glendinning Cablemaster, dual Racor filters, Walker Bay RIB on a transom davit, custom hull paint, and more. Spacious two cabin layout plus on-deck space that is sheltered by a hard top with power sunroof and poly enclosure. Ideal for entertaining family & friends, and you'll get to the there ahead of the pack with efficient twin 715-hp Volvo diesel power. Self contained with inverter & genset for a night 'on the hook'.